Single family home and custom home builders seeking desirable building sites in the Comox Valley will find outstanding options at The Ridge in Courtenay. 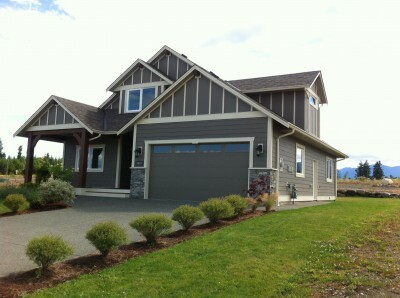 This residential neighbourhood is one of the Comox Valley's newest neighbourhoods with building lots for sale. 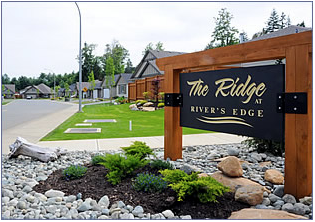 The Ridge offers build-ready lots for sale, with city sewer and water, pavement with curb and gutter, and underground utilities including high speed fibre optic service. All that's needed to get started is a building permit. Lot prices start at $169,000 and financing options are available. Building lots for sale at The Ridge offer exceptional ocean and mountain views that include the Georgia Strait, Comox Bay, Comox Glacier, and Mt. Washington. Choose a lot to maximize views for the finished home, including house-facing direction. Other options include secondary suites, workshops, and laneway lots. Southwind Development Corporation is proceeding with Phase IV of its pre-planned residential community RiversEdge in Courtenay on Vancouver Island. The developer is currently preparing an application for a development permit, with plans to build 20 single family homes on the 5.24 acre site. RiversEdge is a multi-phase development that offers residents spacious living, a spectacular riverside setting, and easy access to downtown amenities such as shopping, restaurants, and health services. Homes are situated along the Arden Greenway on bare strata land. Phase III is nearing completion, with conditional offers on the final four homes. Other features at RiversEdge include single-storey homes to ensure optimal privacy and home enjoyment for residents. The neighbourhood also provides an abundance of recreational opportunities, including kilometres of walking trails along the Puntledge River. Chicalo Burridge Land Surveying and Geomatics Ltd. was established in 2001, and offers professional surveying services and geomatic engineering on northern Vancouver Island, the Gulf Islands and mainland British Columbia. Owner Colin Burridge is a Professional Engineer with APEGBC, a Member in Good Standing with Association of BC Land Surveyors, a Member with a license to practice with the Association of Canada Lands Surveyors, a Member of Canadian Institute of Geomatics, and registered and certified as a SAFE company with BC Forest Safety Council. 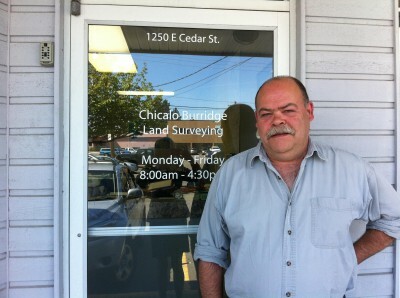 Chicalo Burridge Land Surveying and Geomatics Ltd. recently relocated to a new office at 1250 Unit E - Cedar Street, Campbell River. 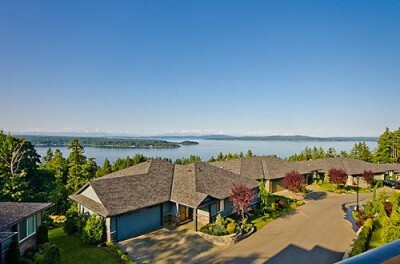 The Gales in Ladysmith is a 68 home residential development that show cases Vancouver Island living at its finest. Situated between the mountains and the oceans, residents area treated to spectacular natural views and easy access to the many outdoor activities Vancouver Island is known for. There are currently two-luxury patio homes for sale at The Gales putting you within minutes of local marinas, kayaking and golf. The airport is a mere 10 minutes away, and offers daily flights to Calgary. You can also enjoy leisurely strolls and invigorating hikes on the many local beaches and trails. The patio homes for sale at The Gales offer you the opportunity to pick colours and decor. Choose between a two-bedroom, two bathroom home with 1,555 sq. ft. or a three bedroom, three bathroom home with 3,000 sq. ft. Either way, you will have a custom BuiltGreen® home with energy saving features such as a Carrier Infinity heat pump, HRV ventilation, Rheem Marathon Limited Lifetime hot water tank and Milgard windows.